Buy 1 for $30.51Buy 2 / Save $1.63!Buy 3 / Save $6.10! Black Currant is also known as Cassis. It is both a propagated and wild grown berry which some claim originated in France. Cassis is a very popular beverage throughout Europe, known for being aromatic in smell and in taste. 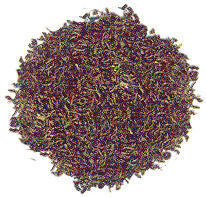 This particular aspect of Black Currant is very evident on this tea. On a hot summer day, Black Currant quenches one's thirst very well. We thoroughly scrutinize our decaffeinated teas to ensure that they stand up to Canadian Quality specifications. All of our decaffs are processed using the C02 Process. The advantage of this decaffeination process is that no chemical solvents can be used to remove the caffeine. 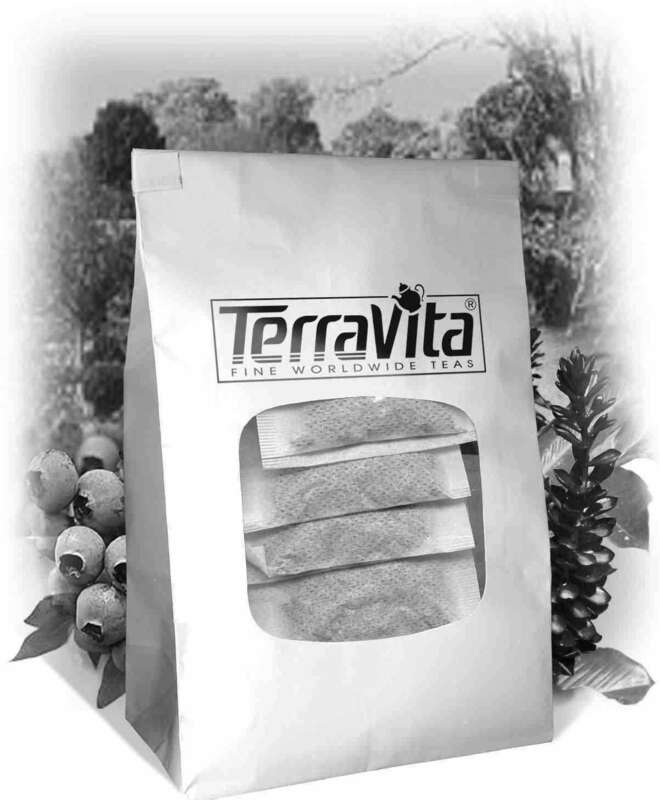 Using the naturally occurring C02 in a circulation process which carefully uses high pressure and temperature to extract the caffeine, the origin distinct character of the tea is retained in the cup. There is a slight change in the character of the tea due to the process, but the end result is an uncompromising cup of tea with no chemical overtones. We use high grown Ceylon tea as the base for decaf tea for several reasons. High grown Ceylon gives us the character we are looking for, a flavory and satisfying tea. The high grown estates are visited by us on a yearly basis to confirm that they undertake proper manufacturing techniques, keep plucking standards high, and reinvest in the estate and its personnel. Most importantly, high grown Ceylons retain their character under C02 decaffeination processes much better than other teas we have tested. Following this we only use natural flavors to give the tea a satisfying and true taste - something you deserve! Hot tea brewing method: Bring freshly drawn cold water to a rolling boil. Place 1 tea bag for each cup into the teapot. Pour the boiling water into the teapot. Cover and let steep for 3-7 minutes according to taste (the longer the steeping time the stronger the tea). Pour into your cup and add milk and natural sweetener to taste. Iced tea brewing method: (to make 1 liter/quart): Place 5 tea bags into a teapot or heat resistant pitcher. Pour 1 1/4 cups of freshly boiled water over the tea. Steep for 5 minutes. Quarter fill a serving pitcher with cold water. Pour the tea into your serving pitcher straining the bags. Add ice and top-up the pitcher with cold water. Garnish and sweeten to taste. A rule of thumb when preparing fresh brewed iced tea is to double the strength of hot tea since it will be poured over ice and diluted with cold water.